Reliance Jio's prepaid plan priced at Rs 19 offers 0.15GB of 4G high speed data for one day. Free and unlimited local, STD and roaming voice calls are available with all these plans. 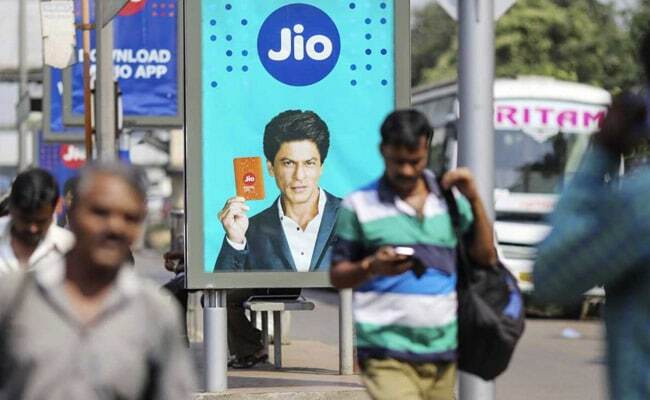 Reliance Jio frequently keep on rolling out new plans and revising its existing prepaid plans in order to offer more benefits to users at lower prices. Currently, Jio is offering a slew of prepaid recharge plans that starts from Rs 19 and goes up to Rs 9,999. Jio is offering three prepaid plans under Rs 100 with different data limits and validity periods. Jio has prepaid recharge plans priced at Rs 19, Rs 52 and Rs 98 that come bundled with free voice call benefits. Reliance Jio's prepaid plan priced at Rs 19 offers 0.15GB of 4G high speed data for one day. The internet speed gets reduced to 64Kbps once the data limit is exhausted. Free and unlimited local, STD and roaming voice calls are also available with this plan. This prepaid recharge plan also gives 20 free SMSes. Subscribers also get complimentary subscription to suite of Jio apps. The validity of the plan is 1 day. Reliance Jio's prepaid plan priced at Rs 52 offers 1.05GB of 4G high speed data for a period of 7 days with no daily cap limit. The internet speed gets reduced to 64Kbps once the data limit is exhausted. Free and unlimited local, STD and roaming voice calls are also available with this plan. This prepaid recharge plan also gives 70 free SMSes. Subscribers also get complimentary subscription to suite of Jio apps. The validity of the plan is 7 days. Reliance Jio's prepaid plan priced at Rs 98 offers 2GB of 4G high speed data for a period of 28 days with no daily cap limit. The internet speed gets reduced to 64Kbps once the data limit is exhausted. Free and unlimited local, STD and roaming voice calls are also available with this plan. This prepaid recharge plan also gives 300 free SMSes. Subscribers also get complimentary subscription to suite of Jio apps. The validity of the plan is 28 days. Meanwhile in a statement telecom operators body COAI expressed anguish at the Union Budget 2018 not addressing the industry's key demands.